Monday was ANOTHER snow day for the kids. Wednesday should have been a day with everything cancelled based on the wind alone. Visibility was maybe a quarter of the mile...of course, this was the day we picked Nick's car up. I got this picture while riding to the shop while he drove. I've been searching for a peanut butter cookie recipe (without pudding and what not - not that I don't like pudding cookies, but I wanted a classic cookie recipe) that wasn't dry or crumbly or that the cookie turned rock hard after an hour of cooling. I was so happy when this recipe turned out exactly how I wanted it to turn out. These are what I think of when I want a peanut butter cookie! I don't know about y'all, but life has been busy and when life is busy, it's nice to have a really simple dinner. It really doesn't get much easier than spaghetti either. What's even better is discovering a recipe like this one to make a quick side dish that is super yummy. We started doing a movie night with the kids and they really love it. But their favorite part is the popcorn that we make on movie night. Since we don't have a microwave, we use a hot air popcorn maker and they love to watch the popcorn fly out of it. It's kind of nice to just use the kernels because it kind of gives you a basis for so many popcorn recipes and there's more of a control over how much you have. This was our first popcorn recipe to try out and it was very good. I loved getting the gummy bear with the chocolatey popcorn. That was probably my favorite part! 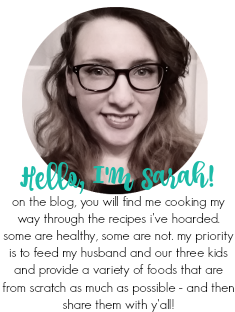 This month I was assigned to the other Group D Sarah who blogs at Curious Cuisiniere. Sarah and her husband, Tim, are adventurous souls (check out this picture of them on her about me page) and when Sarah's not blogging, she's working in a bakery (such a dream job!). While Nick was deployed, he was missing out on Samuel Adams' Oktoberfest beer which is his favorite. So I bought some each time I went grocery shopping and stored them in our basement for when he got home. I also bought Yuengling and Leinenkugel's Oktoberfest beers too. 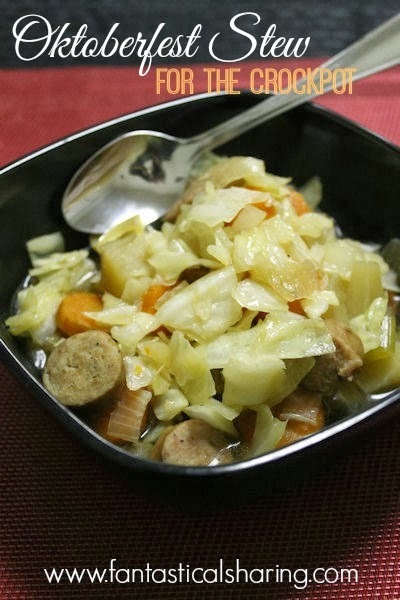 It was easy for me to pick the stew over everything else because it used the Oktoberfest beer :) It was such a great stew. We all loved it! I really would love to be in the South right now! We visit in a few weeks and in nine months get to move permanently. And man o' man - YES! I need some warmth in my life. 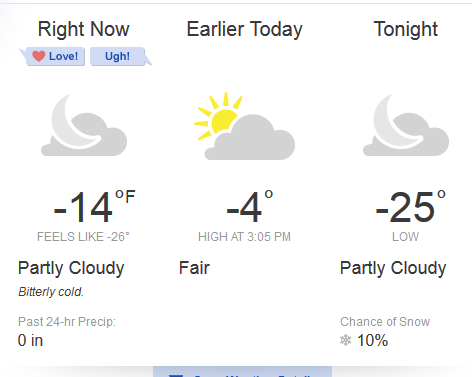 Today, we're back to above 0*, but not until later on today. 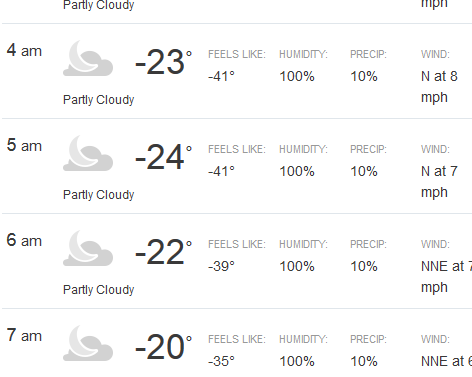 It's currently -17* feels like -30* and the kids are on a 2-hour delay...again. Chocolate Caramel Pretzel Cookies from Barbara Bakes: After the cookie swap cookies, I love caramel pretzel together IN a cookie. I cannot wait to try this recipe! Valentine's Fruit Roll-Up Fortune Cookies from She Grows: These are so cute and I'm just in awe of the creativity of them. Banana Nut Whole Wheat Waffles from Six Sisters' Stuff: I am always up for a little variation. I haven't really used whole wheat flour a whole lot yet, but I do have some in my pantry that I would like to use before we move. Totchos Supreme from Foodie With Family: Anything with supreme in the title is going to be good. I love totchos. No soggy chips and it's POTATOES. Om nom. Pecan Brittle from My Baking Addiction - Pecans are probably my second favorite nut (after almonds). I like almonds for snacking and pecans in baking stuff. I think this variation of peanut brittle sounds and looks incredible. Italian Baked Vegetables from Teachers of Good Things - You had me at Italian. Roasted Potatoes, Chicken Sausage, and Peppers from Skinny Taste - I've never had chicken sausage, but I'm willing to give it a go. This dish looks so yummy. Zucchini Chips from Table For Two - Zucchini chips! YES, YES, Y-E-S! I think it's either 3 or 4 ingredients too, so it's very simple. Strawberry Banana Oatmeal Smoothie from Love Grows Wild - First off, the picture is absolutely stunning. Secondly, I need to break out my Ninja more and make smoothies for breakfast because 1) I don't eat fruit enough and 2) I really need to break out my Ninja more. Easy Caramel Sauce from The Pioneer Woman - I have yet to find a good caramel sauce recipe with consistency that I like and PDub never lets me down, so I'm confident this will be a good one. Slow Cooker Chili Cheese Fries from Creole Contessa - I just think this is genius. IN THE CROCKPOT. Everything seems so much more doable in the crockpot! Cinnamon Roll Wrapped Donuts from Domestic Rebel - I cannot get over how good these look. Simple, gorgeous, and droolworthy. 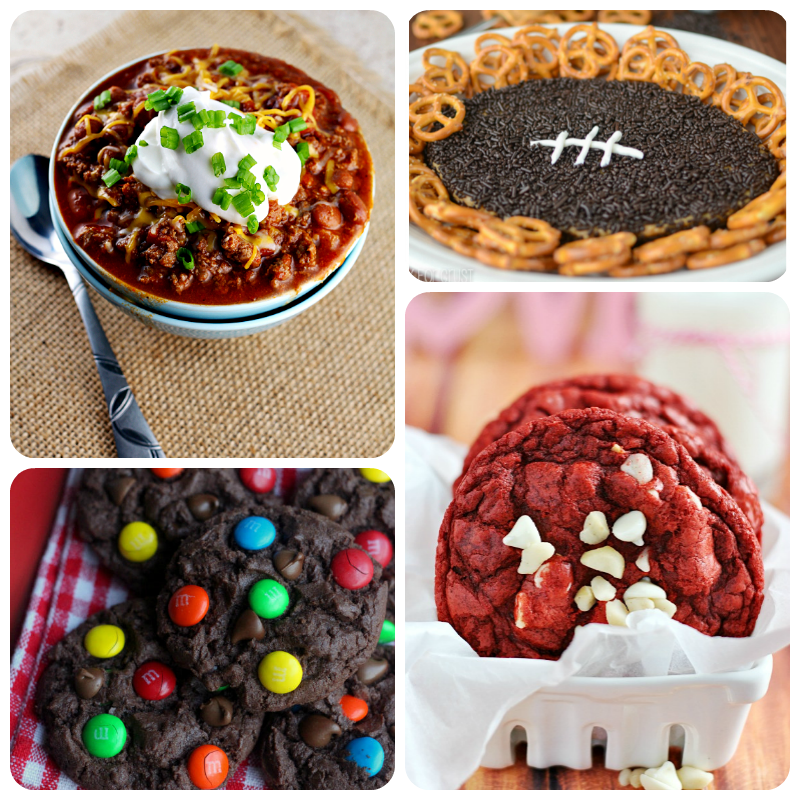 On my Pinterest appetizer and snacks recipe board, I have many a cookie dip recipes. I actually had a couple for monster cookie dough dip, but ultimately chose this one. Monster cookies are awesome because they have so much going on in them - oatmeal, M&Ms, chocolate chips, peanut butter - I mean it's perfect for when you don't know what kind of cookie/treat you want. You just have them all! This dip was simple to make and incredibly addictive! In rare form, I have made this at least four times in the last few months. This rarely ever happens except in the case of having homemade pepperoni pizza a few times a month. I took it to a chili lunch in November to celebrate a unit's one-year DUI-free milestone (not my husband's unit, another within the battalion) and it was gone first out of all the crocks of chili and everyone was asking for seconds. Needless to say, a huge hit! I made it a week later for the company's Family Readiness Group meeting, which is really just the soldiers at this point, and was complimented by the self-proclaimed expert on chili that I may have matched the greatness of his own chili. Again...huge hit. Everyone loved it. I made it once more before Nick came home because it really is JUST. THAT. GOOD! Of course, this was the first thing I made for Nick for dinner when he got home because it's jalapeno popper and chili and that is just the most perfect thing to serve someone who has gone 8 months without soup night and good food returning home to a horrible ice storm wasteland! He also loved it. Basically, what I'm saying here is that this is the very best chili ever in existence! This was a very unexpected new favorite recipe that I tried recently. I made some slight changes to the original recipe, but I urge any vegan readers or any readers who have vegan friends to check out the original recipe and Lisa's blog, Je Suis Alimentageuse. My version is not vegan and that's where most of my change happened. Corn is out of season here, so I resorted to canned corn. All the flavors work together perfectly. I am obsessed with quinoa right now - it's just so good! It looks a little crazy, but it's such a great ingredient. I made the Quinoa Stuffed Peppers again because Nick was unable to get it the first time around because he was deployed. It was his first time having quinoa and he was skeptical, but upon devouring the meal, he was every bit as obsessed as I am. He asked if it has some magical attribute where it takes on whatever meat it is paired with, which is a huge compliment. 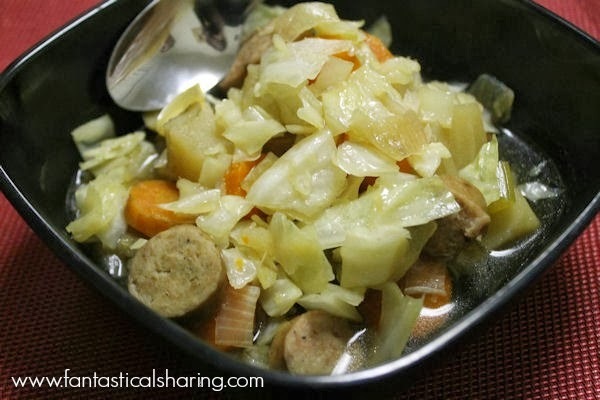 Sometimes I have to twist his arm to eat meatless foods (like this recipe). 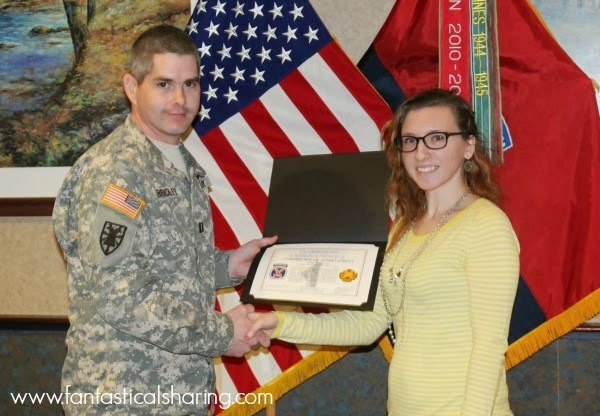 As I mentioned in my latest Fantastical Friday post and various random posts, I volunteer in my husband's unit with the Family Readiness Group as the leader. I pretty much help out with any battalion event, even if it's another company within the battalion holding the event, if there is food involved. About a year ago now, we attempted to provide breakfast at an event - we figured we would try for waffles. I was tasked with bringing my waffle iron, plus powdered sugar and Nutella. I bought a bunch of both and when I went to make this pound cake, I assumed that I still had 1 or 2 large containers of Nutella leftover (I'm still working through the last few bags of powdered sugar I brought). Turns out I didn't have any extras left and, of course, I am always horrible about assuming I have things on hand and being in the middle of making the recipe when I discover that I'm missing ingredients. I unfortunately only had enough for one layer of Nutella. It was fantastic with one layer and I'm sure two layers knocks it out of the ballpark. The cake itself is so moist and delicious. I loved the addition of cinnamon to it. It really just made the cake! This week has been a pretty quiet, peaceful week. We got a little rain so our snow piles from last week are a little smaller. But nothing too crazy. This just looks fabulous. I love a meaty chili and it's really necessary to combat winter. All I can think of is BUCKEYES. Not the team, but the treat. This would be perfect for the Super Bowl...which is really the only football game we watch. I adore cake mix cookies. They are so chewy and soft. They keep so well. I cannot wait to make these M&M cookies. Bring on the chocolate! This is honestly one of the most brilliant ideas ever. And look how gorgeous they are! After the hecticness of the last few weeks, I'm hoping this one will be our first normal one. It's starting out semi-normal...Nick is at work, the kids are leaving for school here in a bit and I'm going to the grocery store. It about drives me nuts when my schedule is all thrown off! This week has been extremely hectic. On Monday, the kids went to school and I went to run my errands (pick up Matthew's allergy meds and grocery shop)...no sooner did I get in the door from running errands that my phone rang saying school was getting out at 12:45 due to weather conditions getting worse. At this point, it was already snowing. Tuesday and Wednesday it continued to snow and the kids and Nick were home. 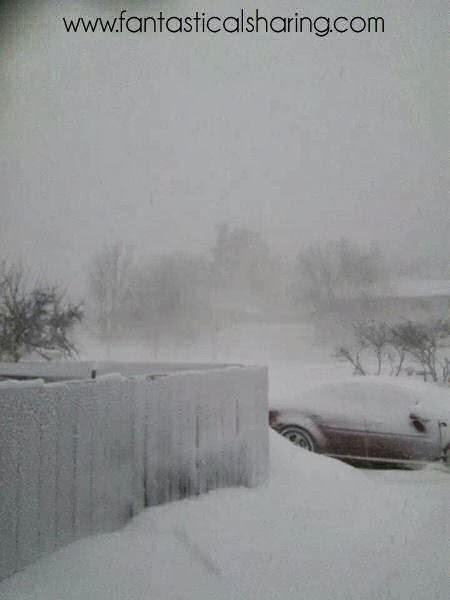 Apparently, we got the most snow out of the whole state: 31 inches. 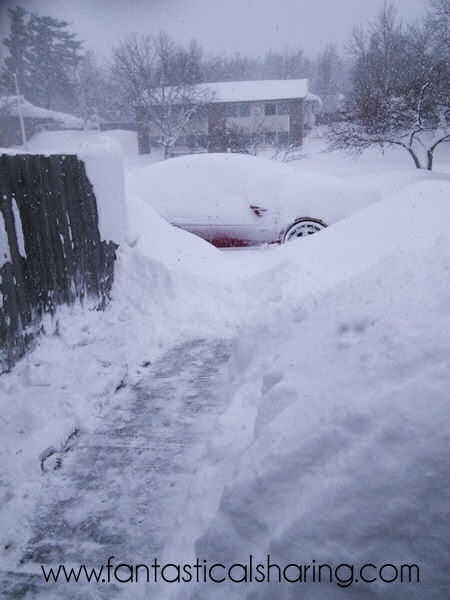 Left: Tuesday afternoon before shoveling. Right: Wednesday afternoon, everything we had shoveled was back so we shoveled again. I'm not sure if I've ever posted anything with root beer in it, however, it is my favorite soda. We rarely drink or buy soda and if we do, it's root beer or Sprite. But root beer is the reason why I haven't given it up completely. It's just so delicious. The butter and vanilla in these fluffy pancakes really just compliments the root beer so much. They are one of the fluffiest most delicious pancakes I've ever had! Because of this recipe for Slow Cooker Caesar Chicken Sandwiches that I posted in September, I got way obsessed with Caesar dressing. Of course, I'm also a pasta fiend, so this recipe from The Mommy Games seemed like the next step in sating my appetite for everything Caesar. It's super simple to make and if you were in a bind, I'm sure you could even skip putting it in the oven to bake. It's full of flavor and just all-around delicious! 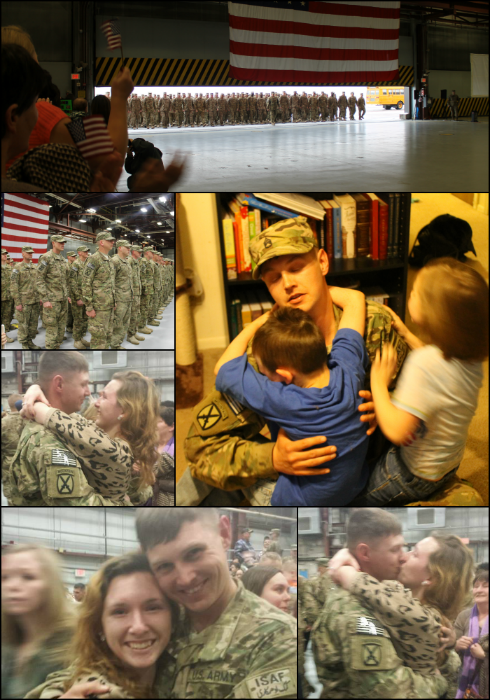 Deployment is over, but I'm still trying to catch up sharing what we had to celebrate one more month gone. These were our September cupcakes to celebrate 5 months done. I used the leftover cupcakes I had frozen from the Andes Mint Cupcakes from the month before. I loved the caramel inside these cupcakes and the whipped topping was light and delicious. However, I'm already thinking of modifications...like a mocha chocolate buttercream and maybe salted caramel sauce! I'm excited to share my first Fantastical Friday post. This post will be a weekly one for me to share blog love (like my old Sunday Social posts), behind the scenes in my "personal" life, and everything in between. Basically, a giant miscellany post. I'm enamored with Duncan Hines Frosting Creations frosting (no compensation for saying that, DH doesn't know I exist). I found out about it when I made the French Vanilla Waffles with Cinnamon Roll Frosting. My brain started going a mile a minute when I saw the other flavors they had. I immediately wanted to use their cotton candy flavor packet. And I did in my Funfetti Waffles with Cotton Candy Frosting recipe. The next packet that I wanted to use was the caramel flavor. I was really craving carrot cake at the time, so I decided to make the two into a lovely, beautimous, sinful breakfast. I love how fluffy the waffles turn out from the cake mix. And the frosting on top is seriously just a huge plus. It's nice to indulge every once in a while and the kids loved these waffles and raved about them both. I ended up adding some cinnamon to the caramel frosting to make it more fitting for carrot cake. The combination is heaven. Y'all have to try this for breakfast soon!! Today is the last day of the Countdown to 2014, as it IS 2014. WOOO! Happy 2014 everyone! I didn't have a miscellaneous post to do, so I'm doing my Bucket List. Be sure to stop by Finding Joy in My Kitchen to see the last day of posts for the Countdown to 2014. Thanks for letting me join in again, SnoWhite! Last year, my Bucket List didn't go so well. I made a list of recipes I wanted to try and didn't get around to very many of them. So this year, I want to do a more general bucket list (::salute:: kudos if you get the reference). Use my KitchenAid pasta attachment. Nick got this for me for Christmas in 2011 and I still haven't used it. Master cooking in my new stainless steel cookware (tips are appreciated!). Use my Cast Iron skillet at least 2x a month. Make 12 new appetizer recipes. Make 30 new breakfast recipes. 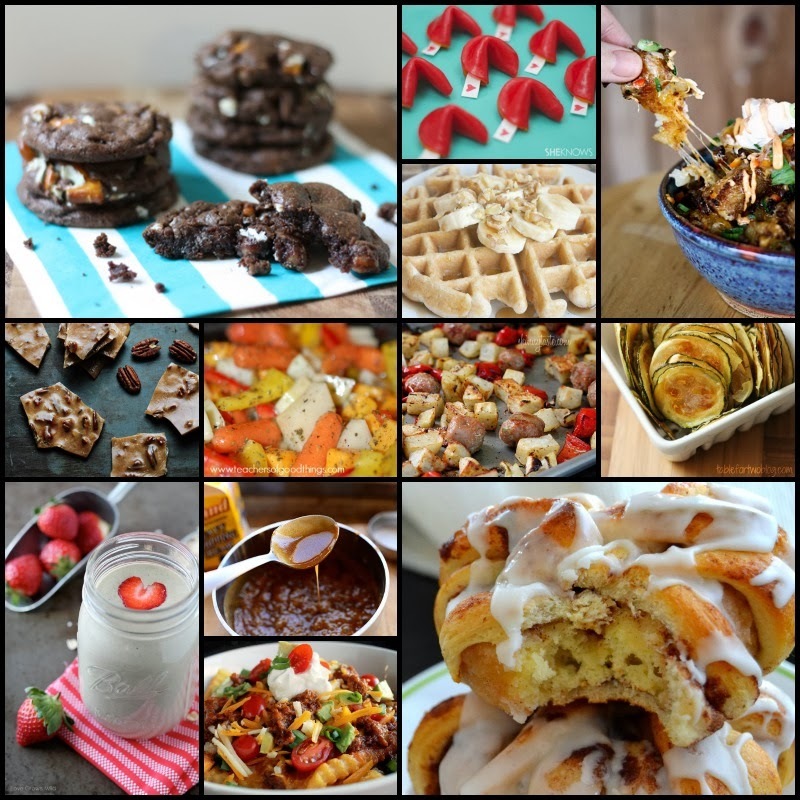 Make 24 new snack recipes. Make 30 new dessert recipes. Those are my basic goals. I may expand on that or add more in the year. I'm going to update in this post throughout the year with my most recent update being right under this little paragraph :) Do you all make bucket lists for the year? Have you ever tried a food/kitchen-related one?